Marquill Osborne | Clarksville Sports Network - Clarksville Tennessee's most trusted source for sports, including Austin Peay State University. 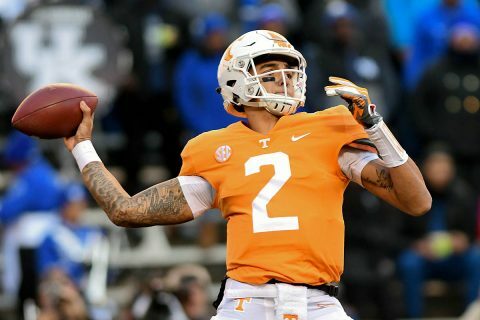 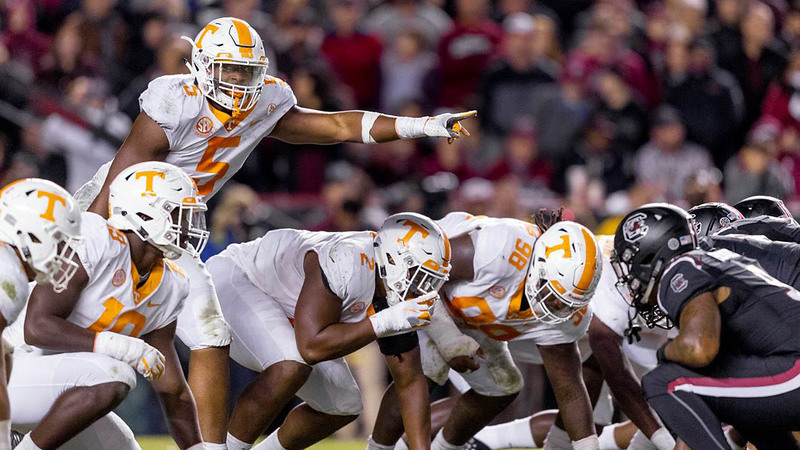 Knoxville, TN – The Tennessee Vols Football team used a balanced offensive attack and stifling defense to take down #11/12/12 Kentucky, 24-7, on Saturday night, November 10th for the Volunteers’ 17th-straight victory over the Wildcats at Neyland Stadium. 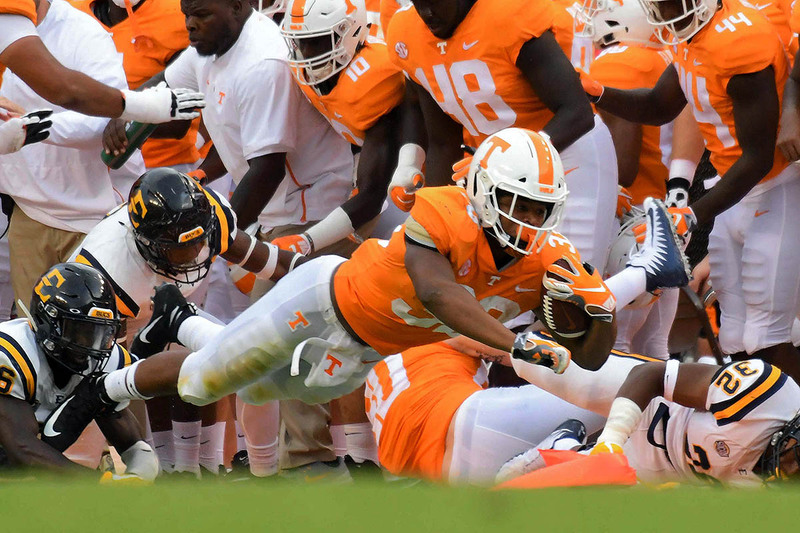 Knoxville, TN – Tennessee football head coach Jeremy Pruitt cannot wait to step on the field at Bank of America Stadium and face No. 17/20 West Virginia on Saturday at 3:30pm. 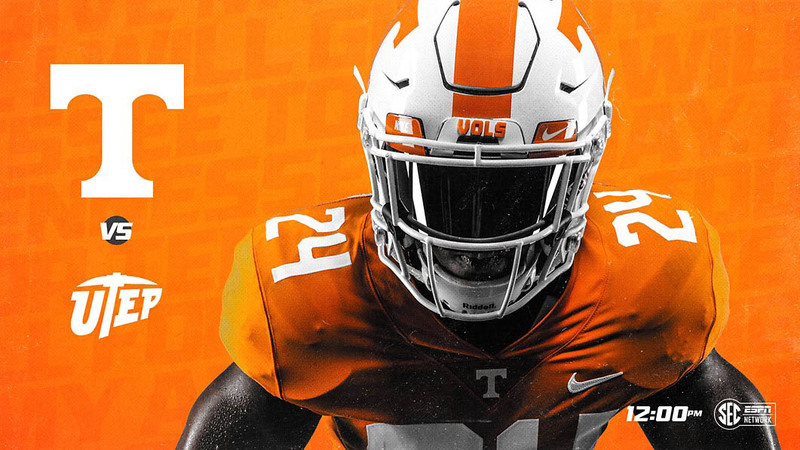 The first-year head coach has been on the jobs for nine months, and his closest thing to coaching game action was the Vols’ annual DISH Orange & White Game in the spring. 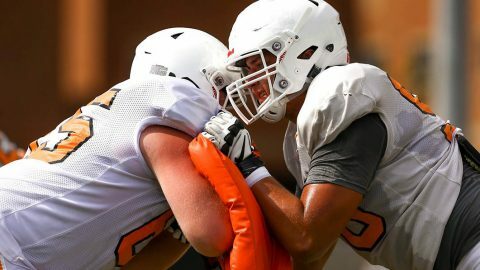 UT began official game week preparation for the season-opening Belk College Kickoff on Monday at the Anderson Training Center.